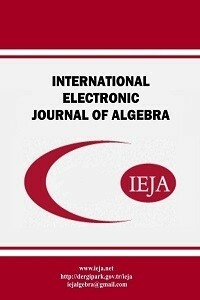 The International Electronic Journal of Algebra (IEJA) is an international mathematical journal founded at the beginning of 2007. This journal carries original research articles of high standard in the field of algebra and aims to reflect the latest developments in the field. Contributions from mathematicians all over the world are welcome. The International Electronic Journal of Algebra ( Int. Electron. J. Algebra ) is published twice a year (January - July). IEJA is indexed/abstracted by Mathematical Reviews, Emerging Sources Citation Index (ESCI), Zentralblatt MATH, Scopus, EBSCO and DOAJ.